The Guyana Agricultural and General Workers Union (GAWU) says it is standing by its contention that GuySuCo is without money to pay hundreds of workers their severance and needs approximately $5B. GAWU had stated in a release last week that a meeting with the Guyana Sugar Corporation (GuySuCo) had revealed that there was no money to pay the remaining workers their severance nor was there any budgetary allocation in the 2018 budget for their payments. 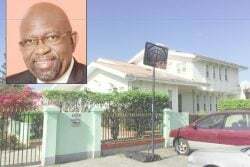 However, Agriculture Minister Noel Holder had later said that the payments would start from January, but was unable to give a specific date, and also highlighted that budgetary allocations were made for the payments and money would also be obtained from “other avenues”. Speaking to Stabroek News yesterday, President of the Union, Komal Chand said that despite President David Granger; Minister of State, Joseph Harmon and Chairman of the sugar company, Dr Clive Thomas, and more recently Holder, reassuring that the workers would be paid their severance, he is still of the belief that the information he received from GuySuCo about not having money is true. 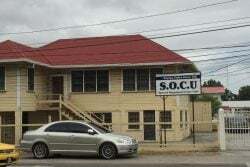 “GuySuCo informed the Union that it has no money and it is requesting such sum of money to pay severance that could be in the vicinity of $5 billion from the government. 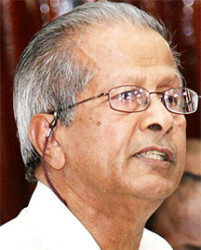 The government, as far as we know and anybody who went through the estimates of expenditure for 2018, has made no provision to provide that sum of money,” he pointed out, while stating that since no date has been provided for the workers to be paid their severance, it can be pushed till to the last day in the month and delayed even further. Chand emphasized that they will continue to support the sugar workers and will be assessing their situation so that they can be informed about what actions the thousands of workers want to be taken to ensure that their voices are heard and their intentions are made clear. “Now they have to consider other means of voicing concern, maybe further picketing and further demonstration in voicing their opinions and the Union will support them. We will support our members and give them whatever leadership they need,” Chand charged, while pointing out that by Wednesday, the Union should be clear on its next step after consulting with the workers. As a result, Chand said, the workers’ dreams and expectations of a bright holiday season cannot be realized since they are now without a job and will not have their legally earned severance pay that should’ve been issued to them on their last working day. GuySuCo had confirmed with Stabroek News that by the end of the year, some 4,000 sugar workers would be made redundant at the Skeldon, Rose Hall and East Demerara estates.